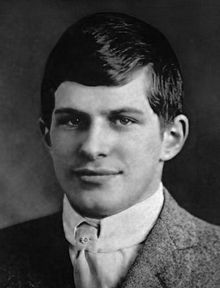 The once famous prodigy, William Sidis, wrote several books on various and often quite obscure objects. Here you can download two of Sidis’ works. The Tribes and the States – Sidis revisionistic account about the North American natives from the era of the cro-magnons to the decalration of USA. The Animate and the Inanimate – a peculiar book about reversing the forces of Nature and thus going back to the birth of the Universe, in Sidis’ terms: The big Collision. In the book he also get in the footprints of what later became known as darkmatter in space.